The following comes from the Grand Lodge of Virginia’s website and is meant to provide a brief synopsis of Kilwinning Crosse’s storied history. You will find more details on our history throughout this site. 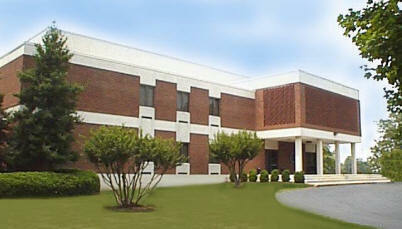 Grand Lodge of Virginia Library, Museum, and Historical Foundation. In April of 1754, a Lodge was organized by the eight to ten Masons who had been meeting in the tavern of Dorothy Roy in Port Royal, Virginia. In May of that year, the Lodge made application to Kilwinning Lodge in Scotland for a charter and specified that the Lodge was to be named Kilwinning Port Royal Crosse and that the cost for the charter was not to exceed ten pounds. The charter was received on June 12, 1756, just twenty-five months after it had been requested. It took about four months for some Atlantic crossings at that time. The new Lodge, in the absence of any Grand Lodge of Virginia, adopted nineteen bylaws, covering many topics. In May of 1777, James Kemp, as representative of Kilwinning Port Royal Crosse Lodge, met with representatives of six other Lodges of Virginia to “formulate reasons for electing a Grand Master.” (James Kemp served as secretary of the group.) Kilwinning Port Royal Crosse was represented on October 13, 1778, when John Blair was chosen the first Grand Master of Masons in Virginia at Williamsburg. One of the early Masters of this Lodge, Robert Gilchrist, served in that capacity for almost fifteen years, one time for eight years in succession. Gilchrist was active from 1755 to 1784. He was known as a “wheel horse” of the Lodge. Port Royal Kilwinning Crosse Lodge declined in membership from 1823 to 1834. Grand Lodge of Virginia records indicate that the membership dropped from sixty-two to fourteen during that period. There were no reports to the Grand Lodge of Virginia from 1839 to 1848. The Lodge was declared extinct in 1849. In October 1855 former members of Port Royal Kilwinning Crosse Lodge petitioned the Grand Lodge of Virginia for a dispensation allowing them to resume work. It was granted. The Lodge shared the Number two with Atlantic Lodge, which had been chartered the previous year. The new Kilwinning Crosse Lodge did not work long. It “folded up” about 1859. A third Virginia charter was granted the Lodge in 1881, when Brothers Robert O. Peatross, R. T. Bowles, and W. O. Thompson requested a dispensation to work. The District Deputy Grand Master for Masonic District No. 12 in 1881, Right Worshipful James A. Scott, was favorably inclined and the Committee of Charters, on December 14, 1881, agreed to allow the name of Kilwinning Crosse Lodge to be used and granted the Number 237. The Lodge was in possession of the Jewels and other property belonging to Port Royal Kilwinning Crosse Lodge and the Grand Lodge of Virginia requested these. The new Kilwinning Crosse Lodge was in Bowling Green, Virginia. In 1902, The Grand Mater of Masons in Virginia approved the bylaws of Kilwinning Crosse Lodge, which allowed the Lodge to use the Numbers 2-237. In 1900, on Easter Sunday, the town of Bowling Green was destroyed by fire. On April 10, 1955, Easter Sunday, exactly fifty-five years to the day, Bowling Green was again destroyed by fire. This time the meeting place of Kilwinning Crosse Lodge was also destroyed. In that year, the current structure used by the Lodge was built and continues to be the home of the Lodge.